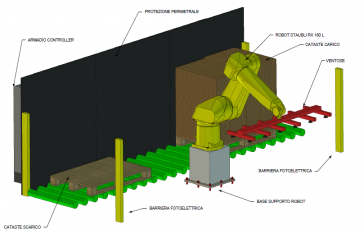 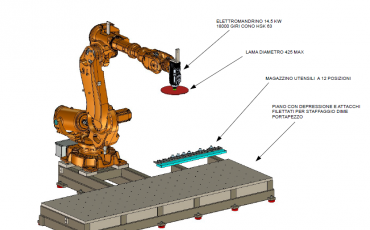 Robotized milling, drilling and mounting accessories. 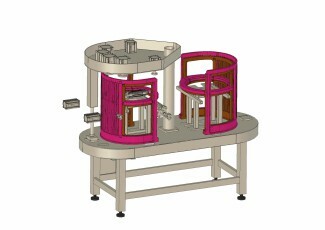 High power work center, with single and double table. 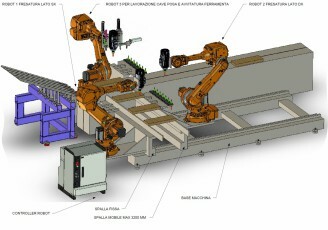 Loading and unloading framing machine. 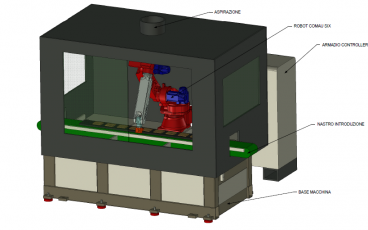 Robot for continuous coating line. 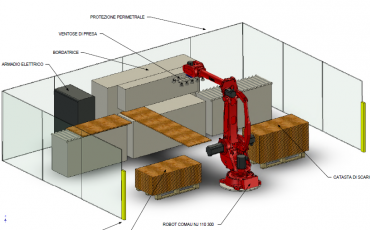 Robot palletizer end of line.